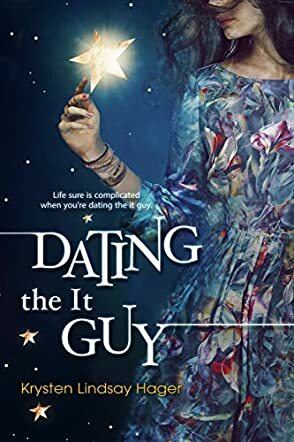 Dating the It Guy by Krysten Lindsay Hager is a coming-of-age story that explores the complexities of relationships, a story that masterfully captures the dilemmas that young girls face in relationships, especially if they have been cheated on before. Emme is in her sophomore year and her heart is still recovering from the betrayal by her ex-boyfriend when she meets Brendon Agretti, the hottest guy in school — pursued by almost every girl. He is the perfect picture of a guy anyone would want to be with. But then, being around him raises more questions in Emme’s mind than it gives her assurances. Can she really have him? If she were that good, why would her ex-boyfriend cheat on her? Things get even more complicated because his ex-girlfriend will do anything to get him back. Emme is insecure and dabbles with horoscopes, but a moment must come when she has to learn to rely on what she truly feels. Krysten Lindsay Hager has written a story of many young girls out there — and many mature women, too — a story with characters that feel so real and so true. Emme reminded me of some of my past relationships, my feelings of desperation and suspicion at times, of the loss of self-esteem any woman suffers after being cheated on, and a lot more. Readers will love the way the author explores the psychological depth of the characters and the restlessness that Emme experiences. The writing is superb, laced with a lot of vivid and insightful descriptions and natural-sounding dialogues. The plot is fast-paced and gripping, and the reader can’t help but read on to find out what becomes of Emme and Lindsay. Dating the It Guy is an entertaining story that is as absorbing as it is hilarious. A book to share with every teenage girl!